Super comfortable and hand sewn in Los Angeles, these sweats have gone through an intense breaking-down process to give it a vintage feel you'll love. 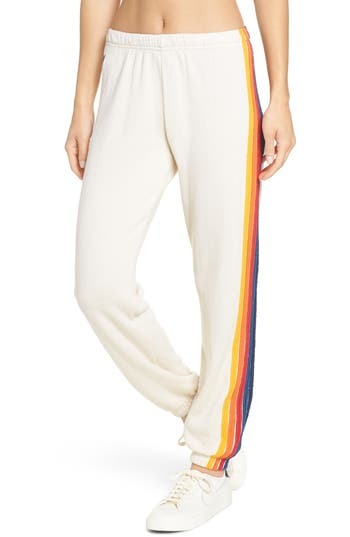 Style Name: Aviator Nation Stripe Sweatpants. Style Number: 5402256. Available in stores.